Wonder Bread has been around since as long as I can remember my parents, friends and family always seemed to have something Wonder Bread in their homes. Now 30 years later I am still using Wonder Bread for my kids lunches, cook outs and more. Wonder Bread has a variety of products. Whither it be hotdog buns, or hamburger buns for the BBQ or white sandwich bread for lunches you know your getting a great product. 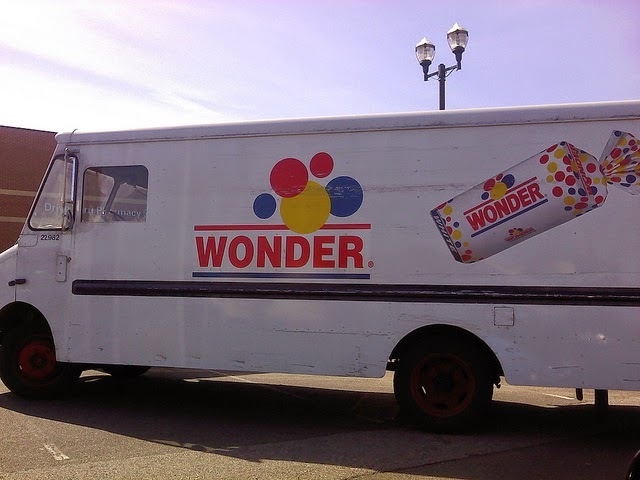 I personally remember the Wonder Bread trucks because it reminded me of clowns. Wonder Bread has White and Whole Wheat selections as well as English Muffins. You can plan your whole day with Wonder Bread start the morning off heating up some Wonder English Muffins, or toast. Lunch make yourself a nice sandwich using soft Wonder Bread. Dinner have a cookout and use Wonder Breads, hotdog and hamburger buns. 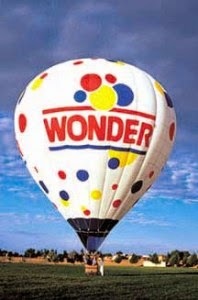 It's a Wonder Bread day. 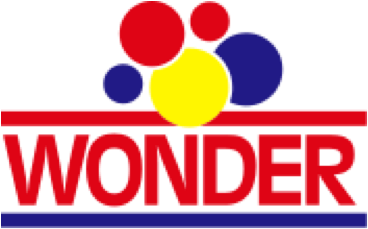 Find Wonder Bread in your local grocery stores and retail stores. While shopping for Wonder products take a pic and enter to win. See contest below. The World famous Wonder Balloon will be flying high above America over the coming months. Capture it in a picture or video, and you could be the lucky winner of the weekend trip to the International Balloon Festival in Albuquerque, New Mexico on Oct. 10-12 when you post on Twitter or Instagram using #SpotTheWonder. Check out the balloon's tour dates here to see if they are coming to a town near you. And if not, don’t worry—just spot a loaf of Wonder Bread in one of its natural habitats (store shelves, shopping carts or your very own pantry) and post that using #SpotTheWonder instead. Either way, good luck and happy photo hunting!